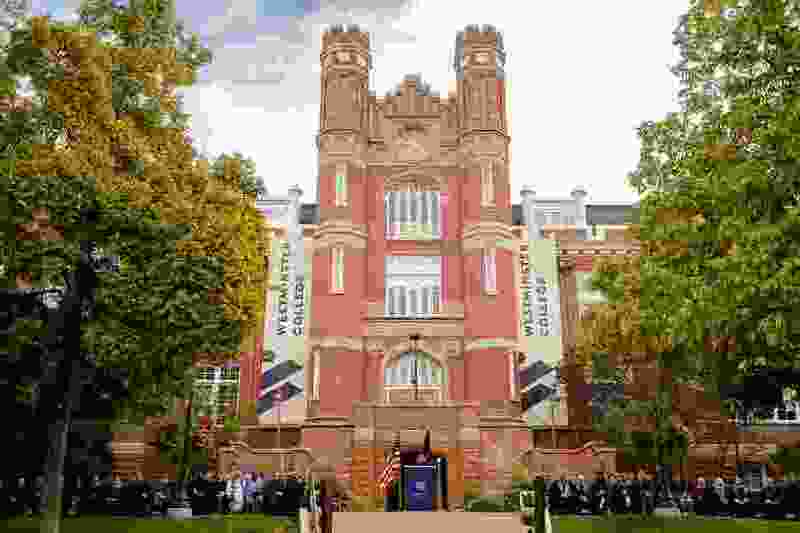 (Trent Nelson | The Salt Lake Tribune) Dr. Bethami Dobkin speaks at her inauguration as Westminster College's 19th president in front of the school's Converse Hall in Salt Lake City, Saturday Sept. 29, 2018. Last week, 50 members of America’s upper crust were charged with a variety of federal crimes tied to gaining access to top schools such as Yale and Stanford. We were reminded that the college selection process is one of many systems in our country tilted in favor of the wealthy and, in some cases, a process subject to gross abuse. This development saddens me, though I am not surprised. Starting with the 1983 publication of U.S. News & World Report’s “America’s Best Colleges” rankings, higher education has become increasingly obsessed with status and wealth, and we’ve brought the public along for the ride. Just as our society has become marked by increased income inequality, higher education reflects that division. Highly selective Ivies such as Dartmouth, Yale and Princeton enroll as many students from the top 1 percent of the income scale as from the bottom 60 percent. Yet the joke may be on those disgraced members of the elite. As economists Suqin Ge, Elliott Isaac and Amalia Miller note, male students who attend selective universities experience no positive effect on their career earnings. Following World War II, colleges and universities were massive engines of class progress. The GI Bill accelerated mobility. Now, our most prestigious institutions more often reinforce class distinctions. But it doesn’t have to be so. Institutions such as my own have long embraced higher education’s access mission. More than a quarter of students who attend Westminster College are eligible for Pell Grants, federal support awarded to those in the lowest income bracket. Our public state universities and community colleges also play crucial roles in creating pathways to a degree. But why is our culture so fascinated with the so-called “top” schools? A few years back, a mother and a daughter appeared in my office looking for some advice about the college selection process. The daughter was only in ninth grade, but her family was anxious to get a jump on being prepared. The moment was illuminating, for it indicated that no adult had ever sought to question the child’s pick, nor had she ever thought to identify reasons. It was self-evident that Harvard was a good choice. Such parenting strategies are unfortunate, for the college selection process should be all about the fit between the student and school. What is a great match for one is a poor fit for another. Commentary: Young people can have an impact. If they will only vote. As The New York Times reported last year, the most popular class at Yale was one on happiness, because students who had made themselves so miserable trying to gain admission didn’t have a game plan for how to enjoy themselves. The article also cited a 2013 report noting that more than half of Yale students had sought mental health care during their time at the university. Times columnist Frank Bruni points out that it’s less important where you go than how you go to college. Put another way, the choice of a college is far less important than the student who is going — motivated, excited, passionate students are going to be successful at hundreds of different institutions, a fact I have witnessed for over 30 years in the business. Nowhere is the nature of the relationship between a child and a parent more apparent than when a family walks through my office door to discuss college selection. Who leads the way with questions? What kind of trust is evident in the relationship? Are parents out in front of their children trying to seek advantage — as we saw in this week’s sordid cases — or are they serving as supportive, loving, honest partners in the process, accepting their children fully as themselves? Trust me, that story is far more important than a high SAT score or the number of AP classes on a transcript. 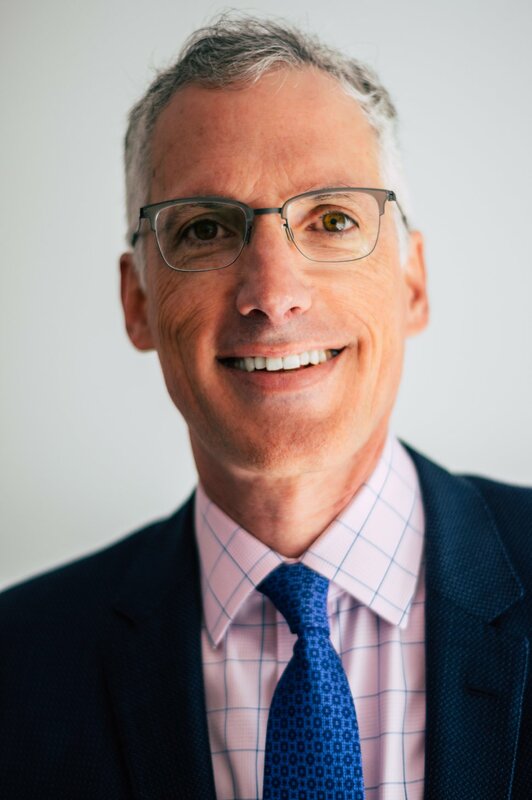 Richard Badenhausen is dean of the Honors College and interim provost at Westminster College and president of the National Collegiate Honors Council.